Our khaki chinos are similar to the original WWII khaki trousers; they’re made from 100% cotton and features durable construction, deep drill-cloth pockets, and a heavy-duty brass zipper. Our US Wings Adventure Gear™ Plain Front Chino Khakis are a Military tradition. US Wings Adventure Gear™ Khaki Chino pants have been made the same way for the past 75 years and reminiscent of the original WWII khakis. Following the “If it ain’t broke, don’t fix it” dictum, our khaki pants are patterned after the classic WWII US Army and USAAF originals — with the proper, and slightly trimmer, military fit. After all, they were good enough for General MacArthur! *To prevent excessive shrinkage, wash in cold water and drip-dry. US Wings is proud to offer our line of US Wings Adventure Gear™ Khakis. 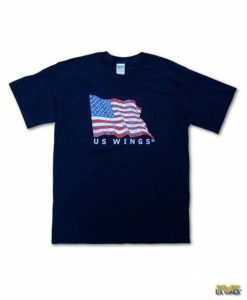 Because they carry the US Wings name, you can be sure they are the finest khakis in the world and at only half the price! They are also the most authentic as well. Our khaki shirts and pants, which are based on original WWII USAAF pants and shirts, are the only true military patterned khakis we’ve seen. Our khakis are extremely durable; in fact, they may be the last khakis you’ll need to buy! From the urban jungle to the rugged outback, our khakis are versatile enough to handle it all. An essential piece in your wardrobe, perfect for casual wear, with a tie for semi-dressy occasions, or for the true adventurer.